My money is on this game being a lot lower scoring than what you expect and thus I think there’s some solid value here with the UNDER. This is one of the bigger rivalries in college basketball, which dates back to Villanova’s win over the Hoyas in the 1985 championship game. That level of hatred for the opponent has players laying everything on the line. That intensity shows itself the most on the defensive side of the ball. You have to go back to 2010 to find the last game in the series that finished with more than the number posted here. Each of the last 12 have all finished below the mark. The UNDER is also 4-1 in the last 5 meetings at Georgetown. It’s worth noting that the Hoyas know they can’t come into this game and try to outscore the Wildcats. Their best chance of winning this game is to ugly it up and try to get Villanova out of sync offensively. These are also two very good defensive teams, which only adds value to this staying below the mark. UNDER is 13-4 in the Wildcats last 17 games against a team with a winning record after they have played 15 or more games. It’s also 8-1 in their last 9 road games vs teams who play good defense and are called for fewer than 17 fouls/game. UNDER is also 12-3 in the Hoyas last 15 home games and is 4-0 in their last 4 vs a team that’s won more than 60% of their games and 7-0 in their last 7 at home with a total of 150 to 159.5. Take the UNDER! **2X BASKETBALL CHAMPION (#1 OVERALL)** Jimmy Boyd is an expert you can trust when it comes to building your bankroll on the college hardwood. Jimmy is a 3X TOP 10 NCAAB HANDICAPPER! Long-term clients are Profiting $46,000 (2,398-2,182) Over L4,580 Basketball Plays! 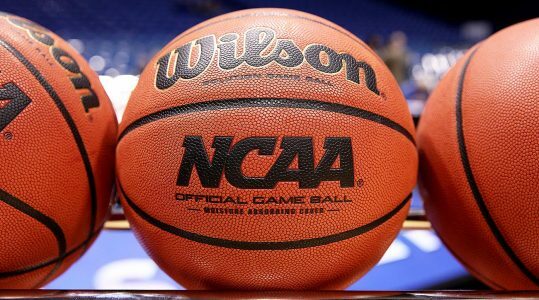 Destroy your bookie and bring home some serious cash with Wednesday’s NCAAB 3-Pack! All 3 plays are yours for the low price of $59.97 **AMAZING VALUE**. On top of that you are GUARANTEED TO PROFIT or you will get Jimmy’s next NCAAB card at absolutely no cost!